How do you implement 22,000 Chromebooks in a district with 93,000 students—while giving teachers an easy way to manage the devices in their classrooms? Or allow students to access resources like YouTube safely and productively during the school day? Teacher’s choice for classroom management, while providing administrators with unparalleled filtering and analytics. Lee County School District in Florida is solving their challenge with an award-winning filtering and classroom management software. GoGuardian gives the district full visibility into how students use their devices, along with a host of tools to make learning safer, more personalized, and productive. More here. Teach kids valuable digital habits, while keeping them safe inside and outside of the classroom. With this software, educators at Denton ISD in Texas have full visibility into how students are using their Chromebooks. Students can use resources like YouTube safely and productively, and the district can even send real-time personalized messages that empower students to become better digital citizens. Learn how Denton ISD is teaching digital citizenship—one message at a time. 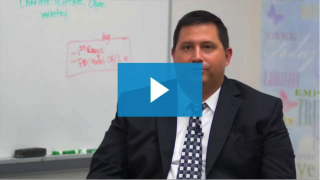 Dwayne Alton, Director of IT/Support for the School District of Lee County explains how GoGuardian’s scalable and reliable cloud infrastructure allowed more teacher and student engagement while increasing implementation throughout their district.